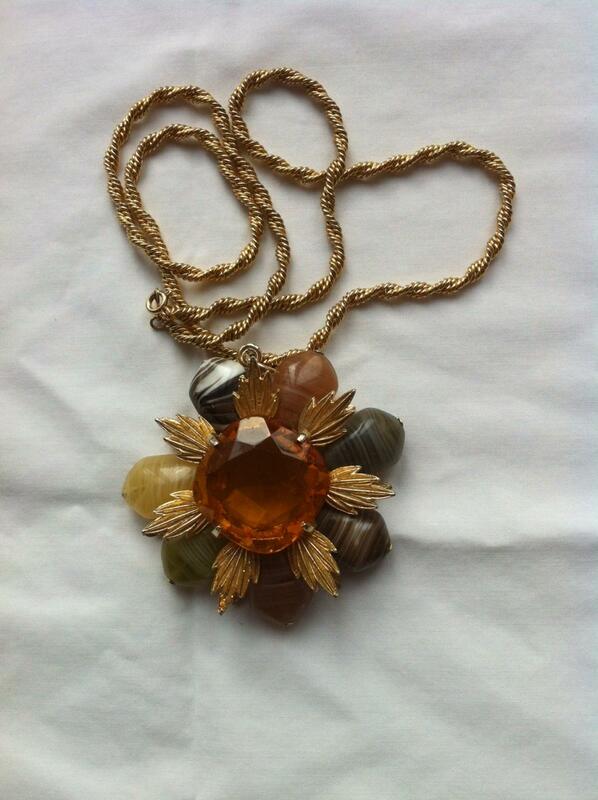 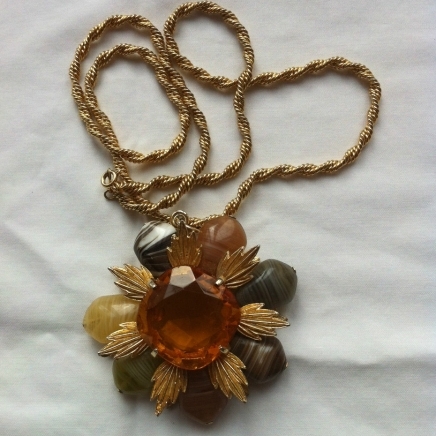 This is a stunning amber gemstone flower necklace. 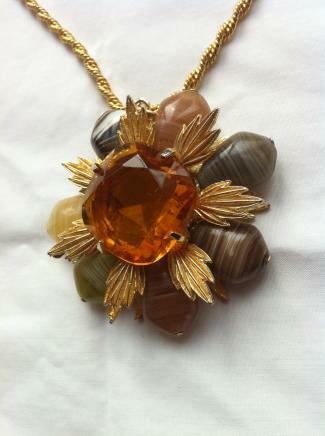 Wonderful qualityl detail to the necklace. The pendant has gold coloured leaves decorating the stones. 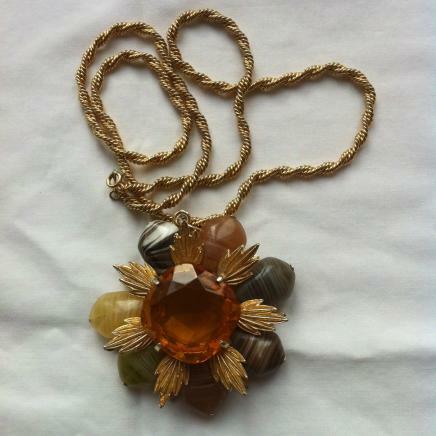 This necklace is offered in great vintage condition.